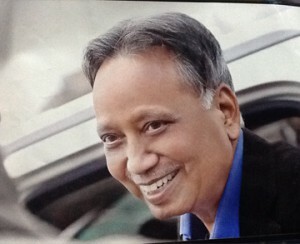 DR. PANAGARIYA IS KNOWN FOR QUICK DIAGNOSIS AND HANDLING DIAGNOSTIC DILEMMAS. TREAT THE HUMAN BEING AS A WHOLE. 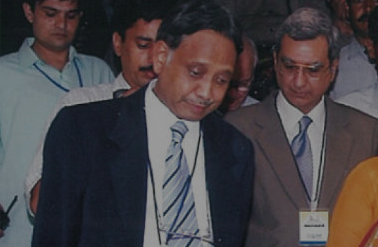 An Indian neurologist, medical researcher and academic, known for his researches on nerve cells and neuromyotonia. For his outstanding clinical academic and development work along with developing support systems for rural epileptic, he was awarded the prestigious Padmashree Award by the President of India. 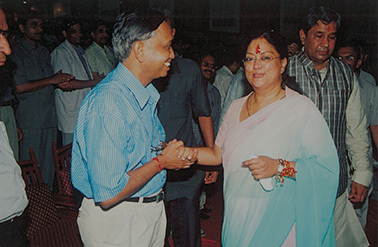 Ashok Panagariya is a former Vice Chancellor of Rajasthan University of Health Sciences, Jaipur and a former member of the Planning Board of the Government of Rajasthan. 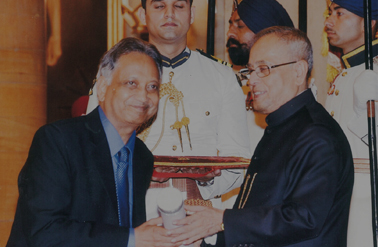 A recipient of Dr. B. C. Roy Award, the highest Indian award in the medical category, Panagariya was awarded the fourth highest Indian civilian award of Padma Shri by the Government of India in 2014. The quest to solve the puzzle of human consciousness, the very essence of our being, is one of the greatest challenges for modern science. Meditation promotes good health. A growing number of scientists recognise the beneficial physiological effects of meditation, especially in the areas of stress relief and relaxation. Astrology is the art of predicting or determining the influence of the planets and stars on human affairs. The origin of this word is from Greek word astron, star + logos (discourse).